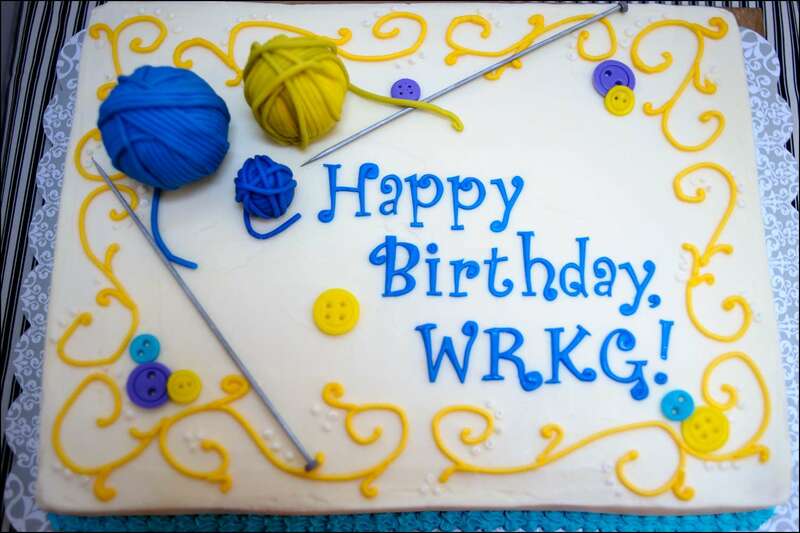 I was contacted by the incoming President of a local knitting guild (WRKG–Western Reserve Knitting Guild) to create a cake for a guild birthday party celebration. 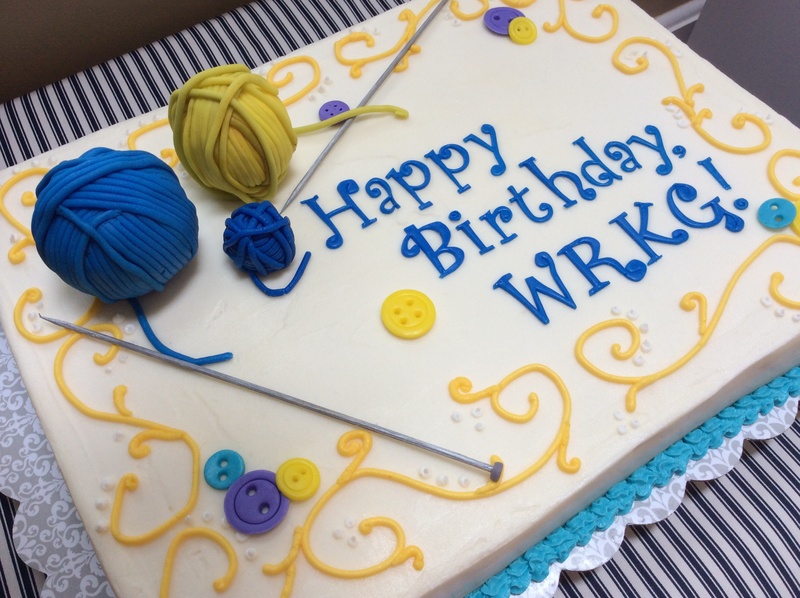 She wanted a simple half-sheet cake with a few knitting-themed details on top. 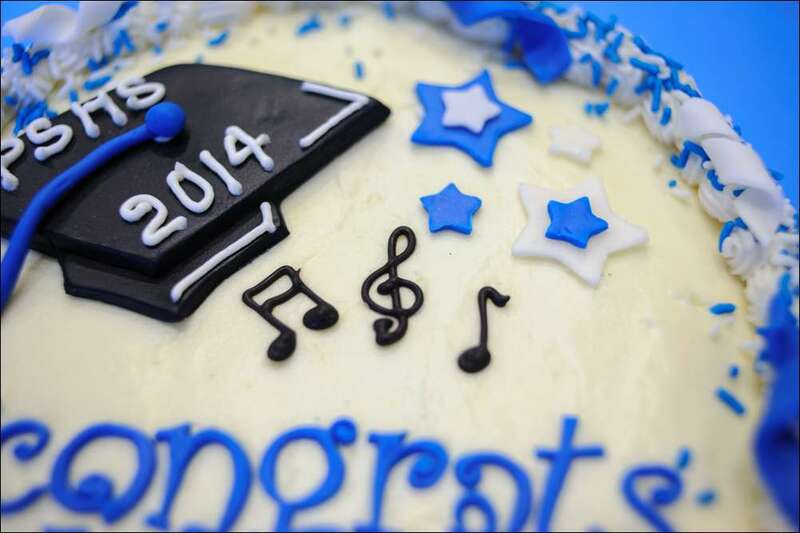 The cake is a sour cream almond cake with raspberry mousse filling and vanilla-bean buttercream. The balls of yarn are made by covering little styrofoam balls with fondant extruded using my handy-dandy Walnut Hollow clay extruder. 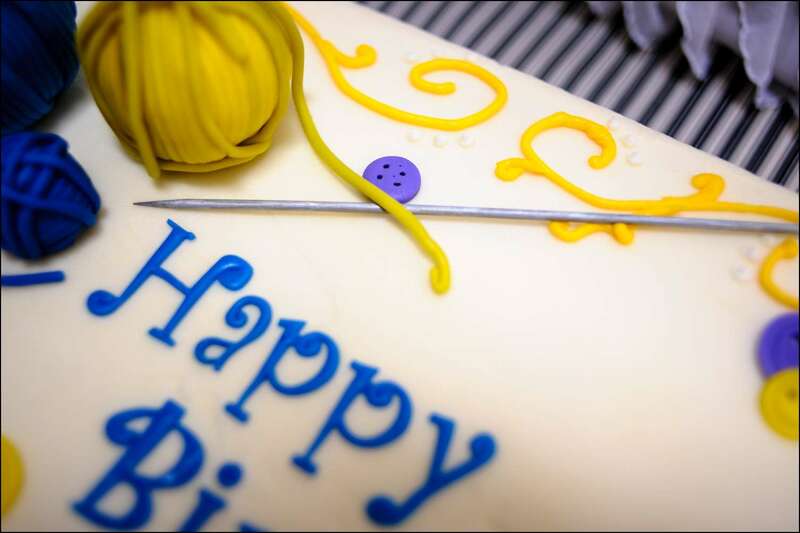 I opted for styrofoam because a ball that size made entirely of fondant would have been too heavy. It took some doing to get them to look realistic, but they turned out cute, I thought. 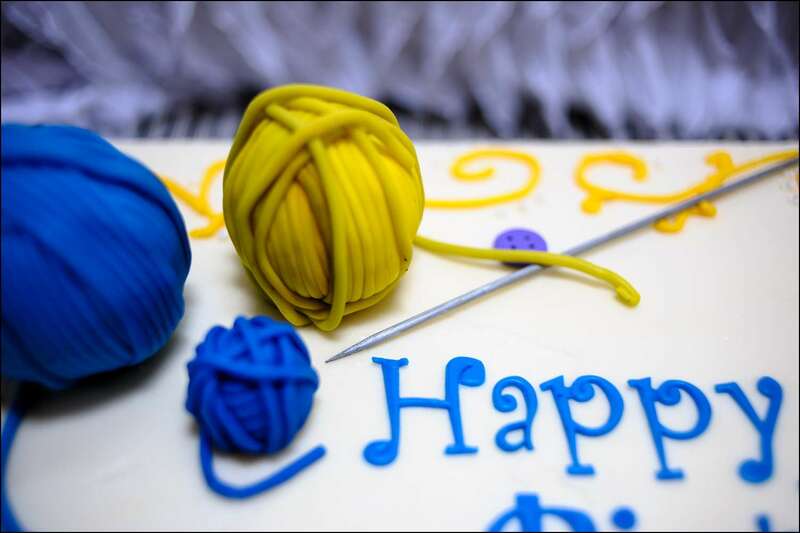 The knitting needles are wooden skewers painted with edible silver paint with end pieces made of grey fondant. 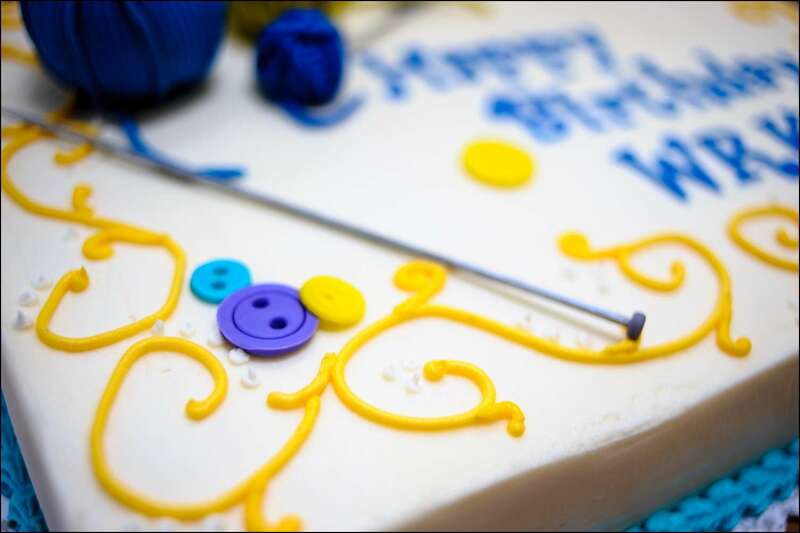 The buttons and letters are also made of homemade marshmallow fondant. 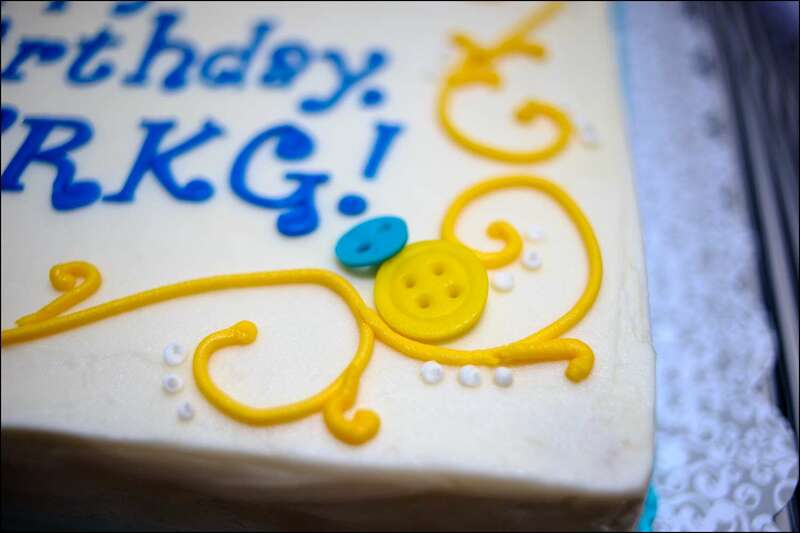 I used the guild’s color scheme of blue and yellow for the fondant details and the buttercream piped swirls and bottom border. 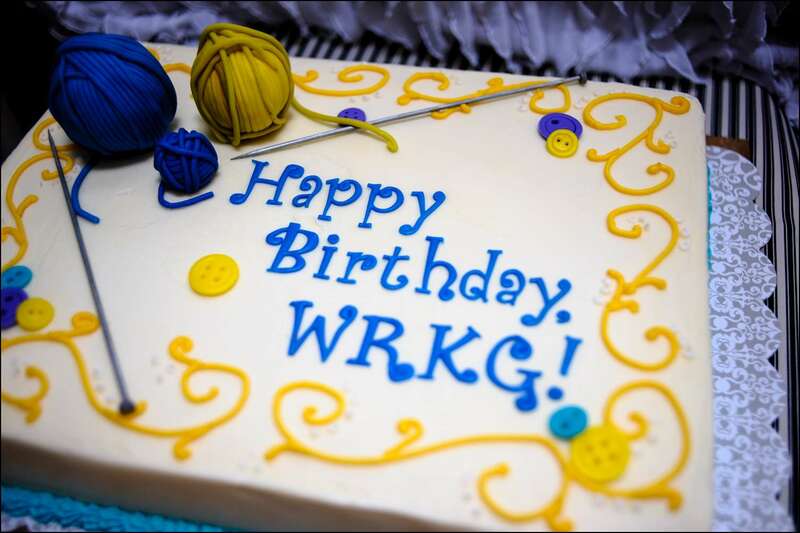 Happy birthday, WRKG! 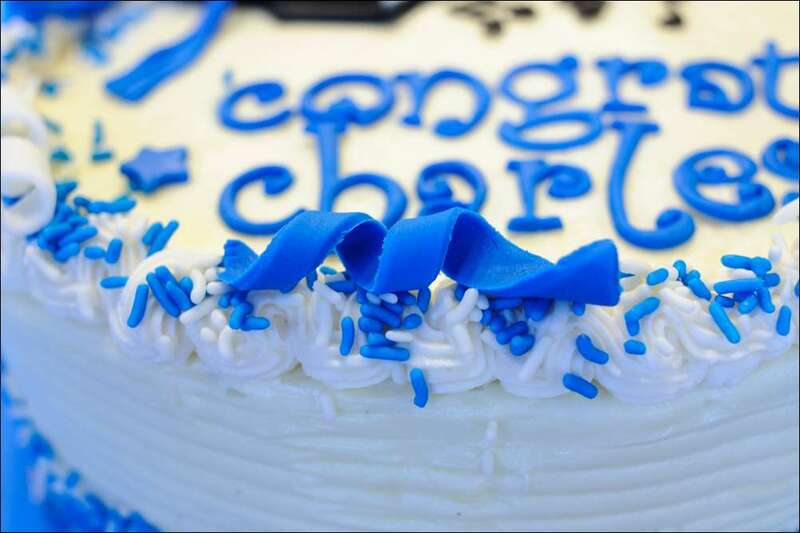 I sure had fun creating your cake! 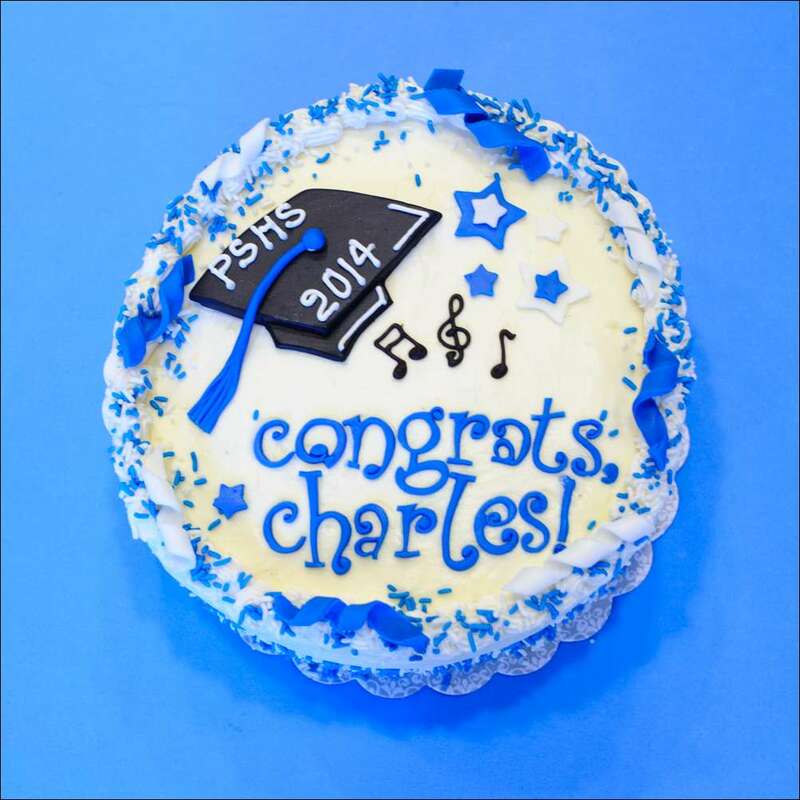 Another graduation cake, this one for a small gathering celebrating a PSHS grad. 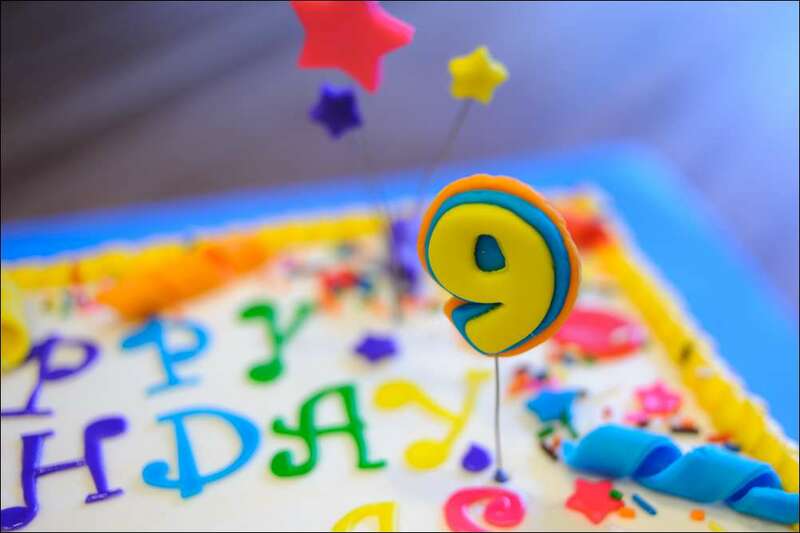 This is a 3-layer 8-inch round with chocolate and sour cream almond cake, filled with raspberry mousse and iced with vanilla cream cheese buttercream. 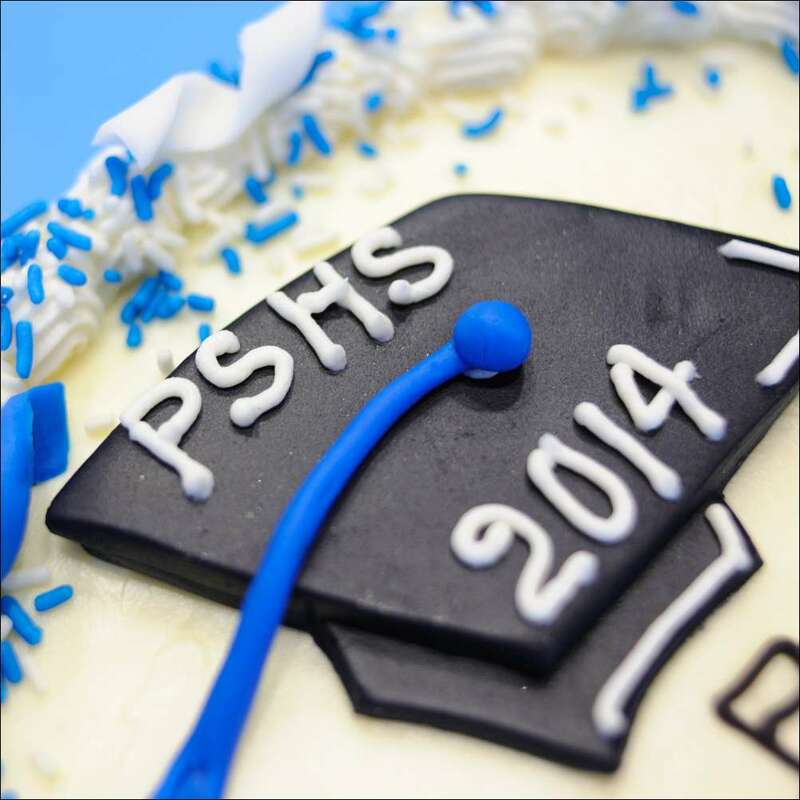 I added a fondant cap, stars, and twists in Poland blue and white. 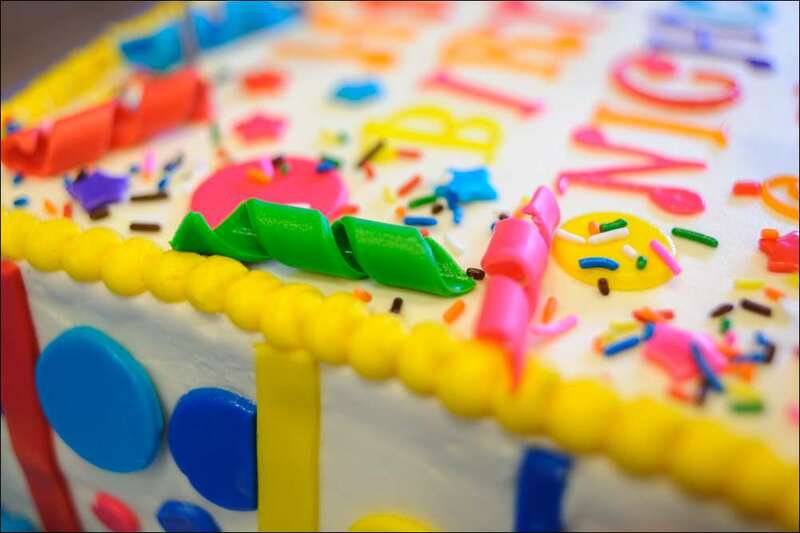 The musical notes were made from melting chocolate piped onto waxed paper ahead of time and left to harden before adding to the cake. 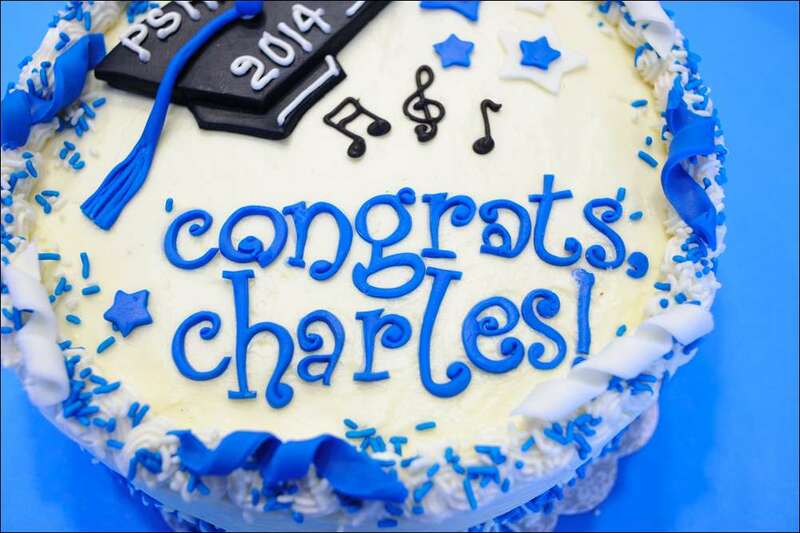 The letters were also cut from homemade marshmallow fondant. 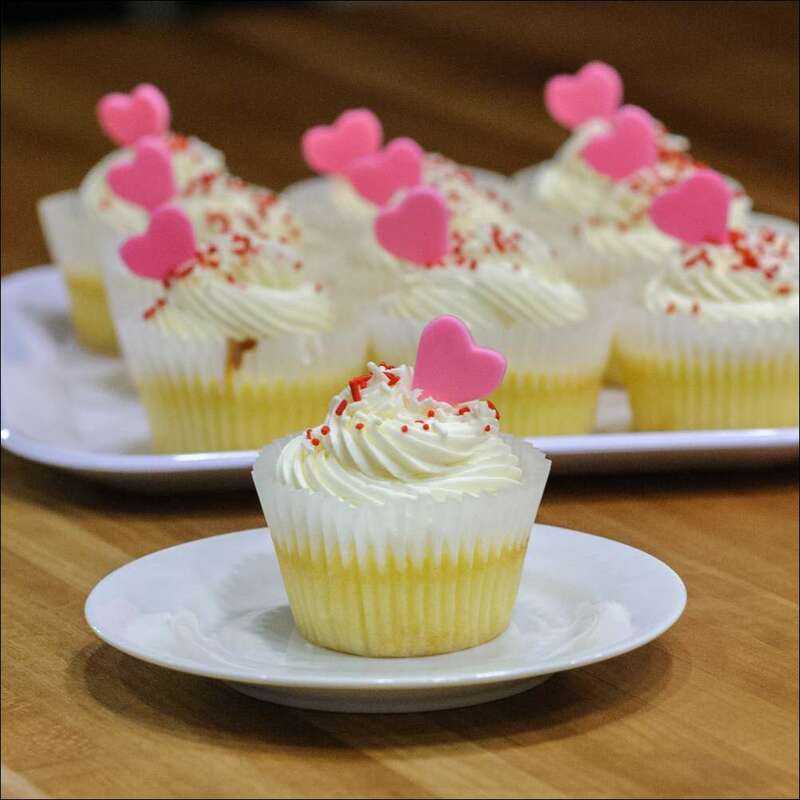 These scrumptious white chocolate raspberry cupcakes will show anyone how much you love them….for Valentine’s Day or any day! 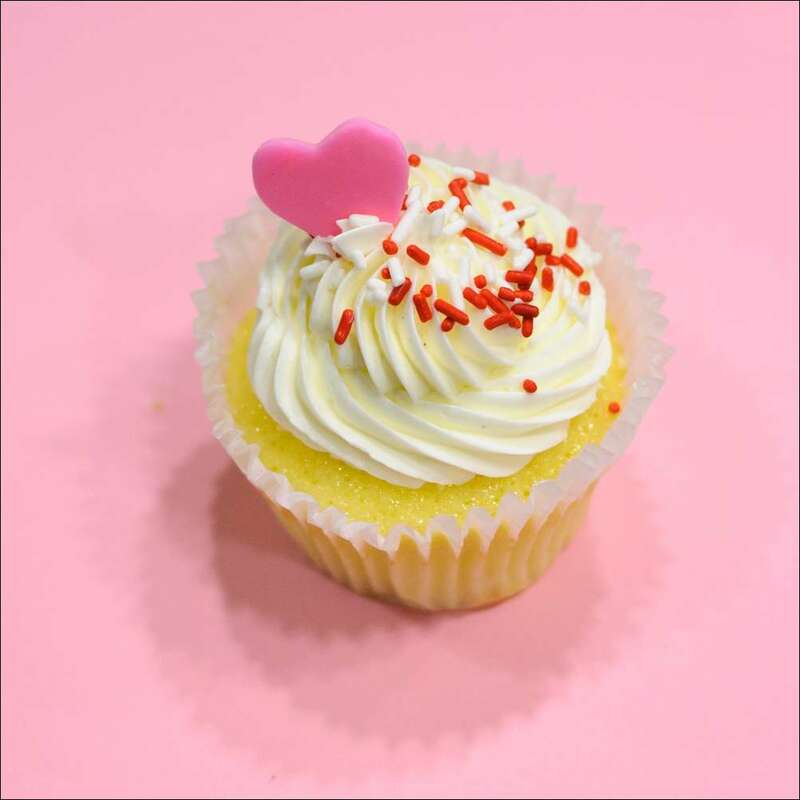 The sour cream vanilla cake is filled with fresh raspberry mousse and topped with a fluffy swirl of white chocolate buttercream–a TERRIFIC combo! 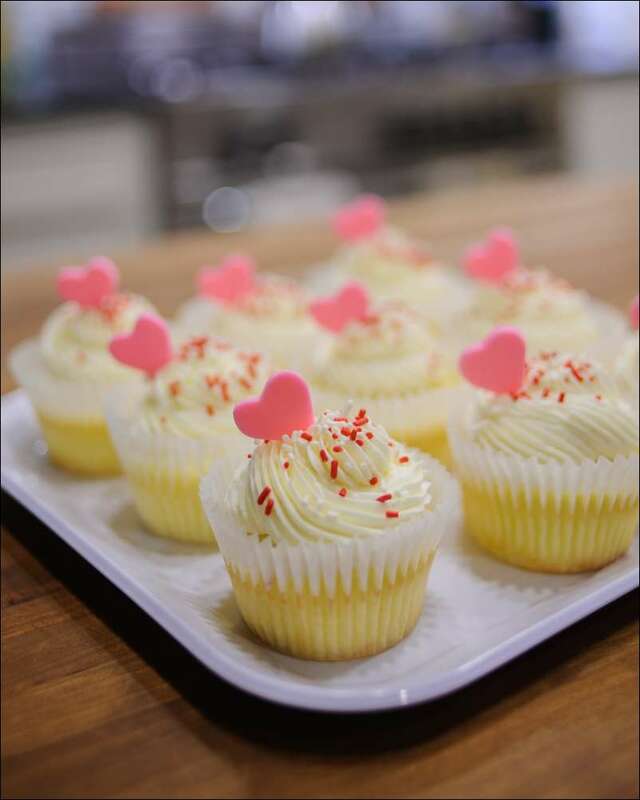 Then they’re topped with sprinkles and a dainty pink fondant heart. 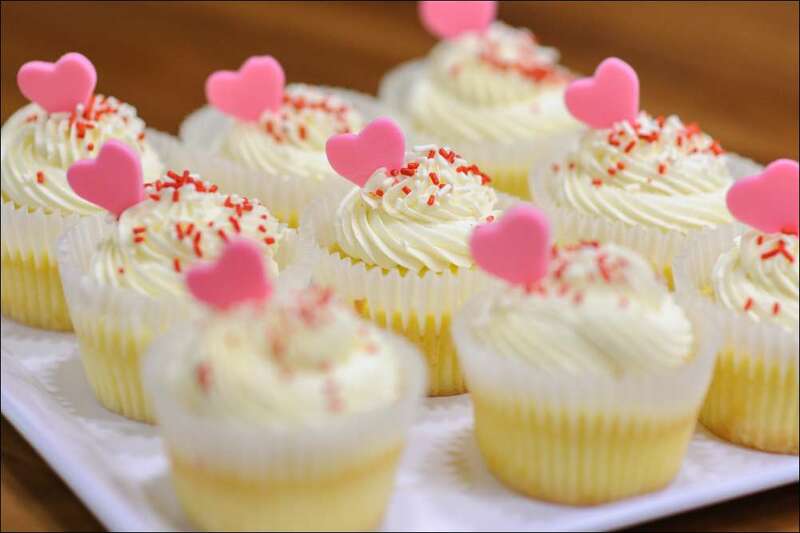 I packaged some up last year for a Valentine treat for the sweeties in my life. 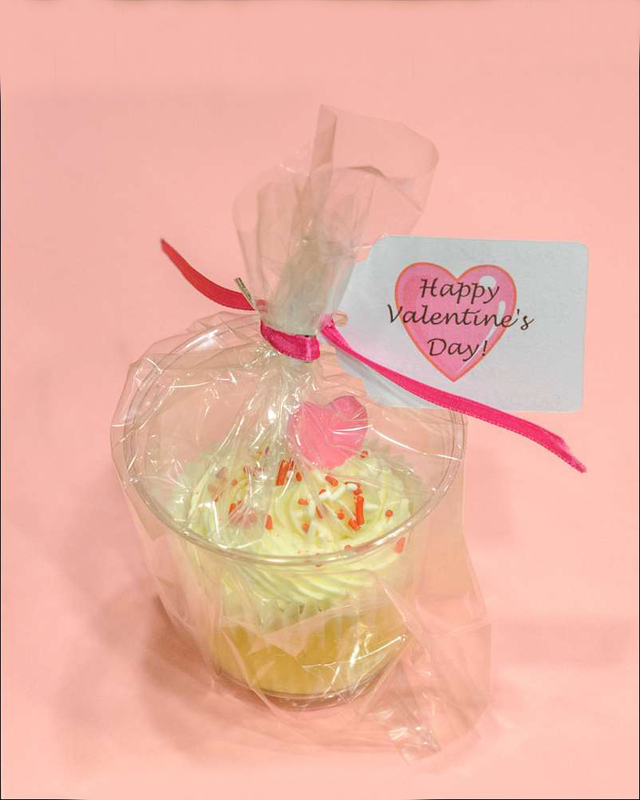 Who can resist love in a cup tied with a bow?! 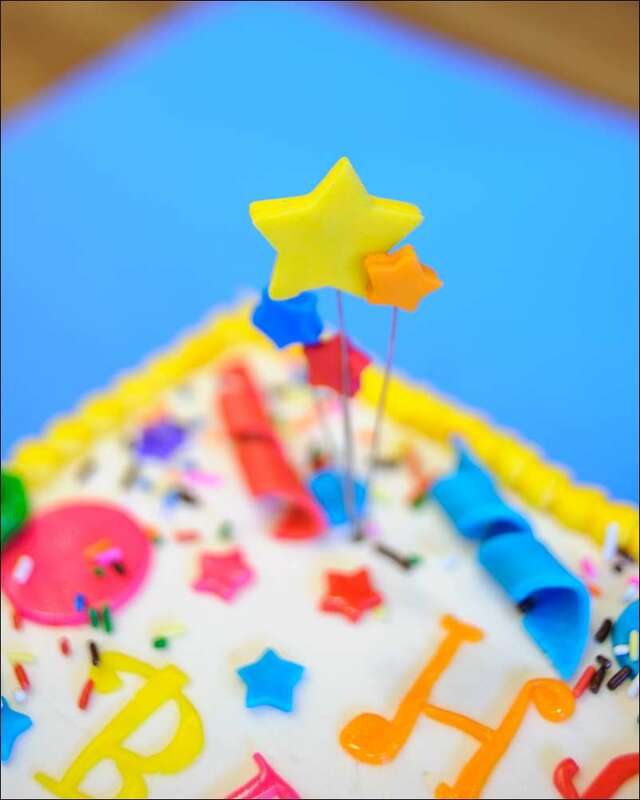 This cake I made for a birthday celebration this past summer for a good friend whose kids were having a combined birthday party. 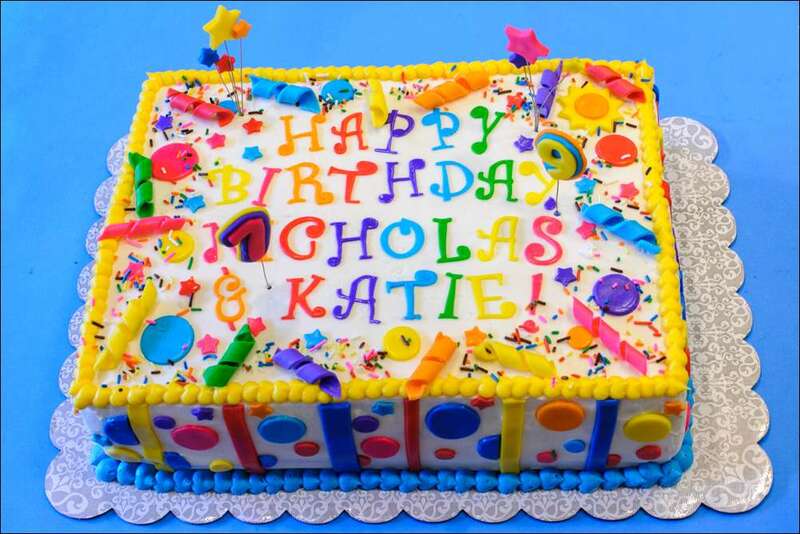 Their mom wanted a festive cake with primary colors, decorated with stripes and circles. 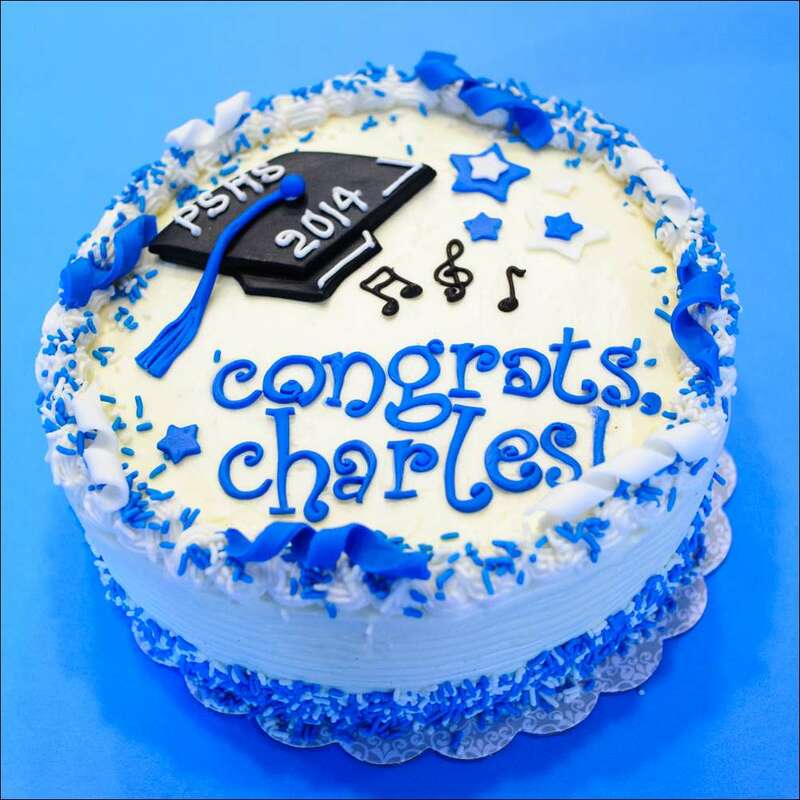 It’s a 2-layer, 12×18″ cake that feeds about 65 people, filled with chocolate mousse and buttercream-iced with fondant decorations. 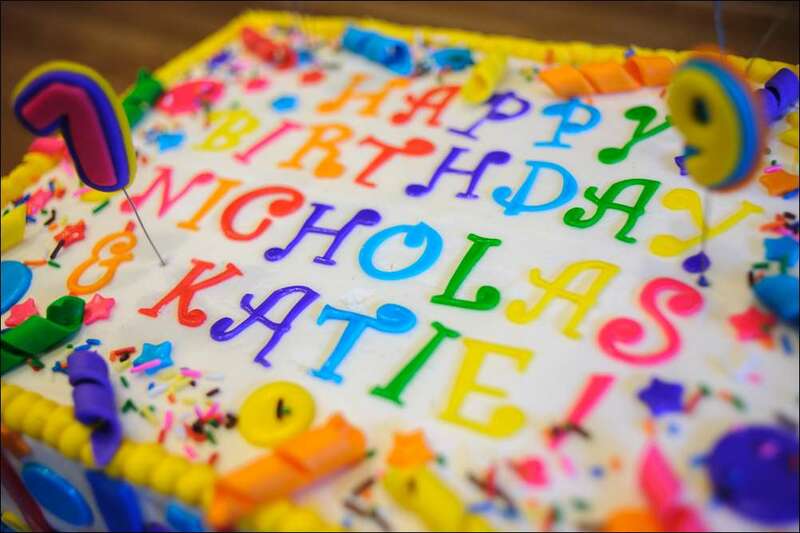 Hope you had a happy birthday, Nick and Katie…We sure had fun at your party! !